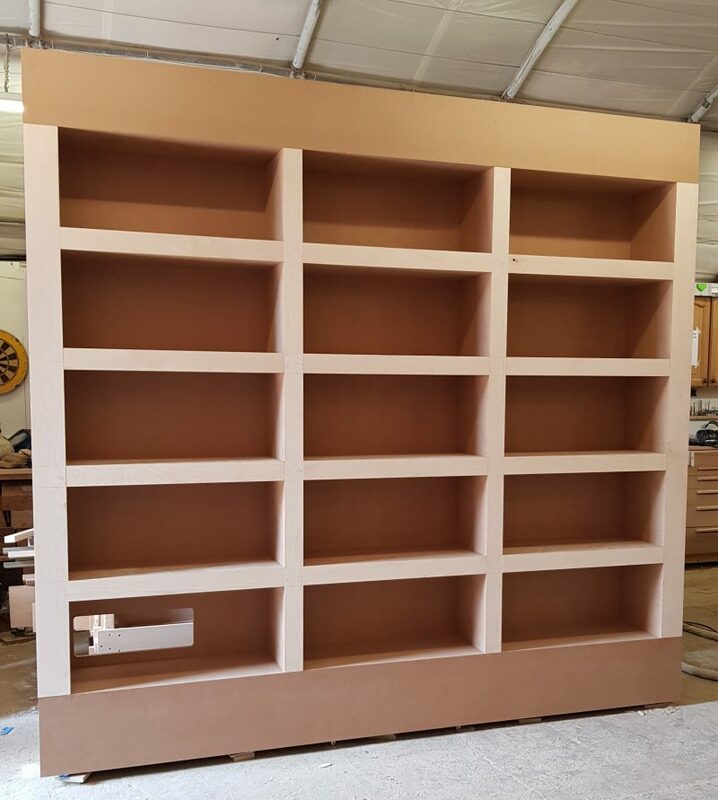 This commission was for floor to ceiling bespoke fitted shelving for a client in Buckingham. 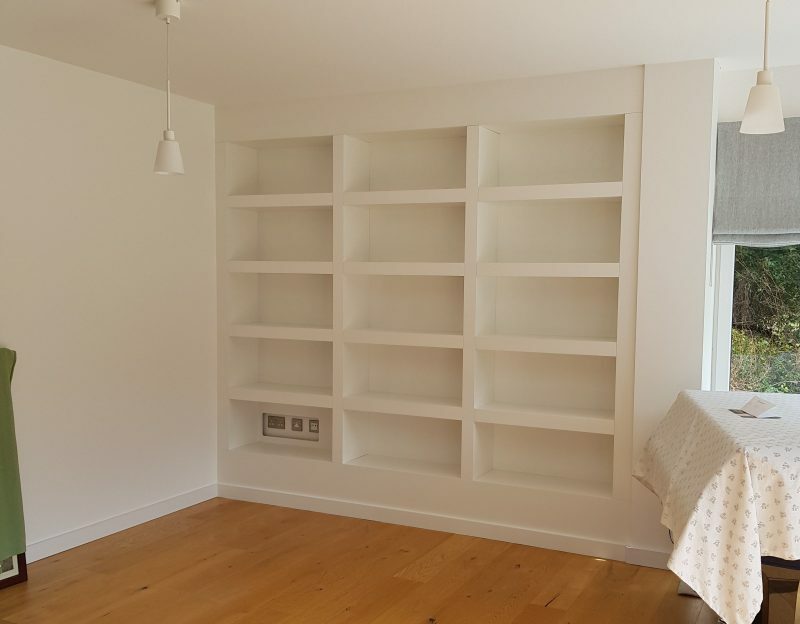 Floor to ceiling bespoke fitted shelves to fit recess space in room. Providing a seamless solution which freestanding furniture is unable to offer. Do you have a space you’re not sure how best to utilise? 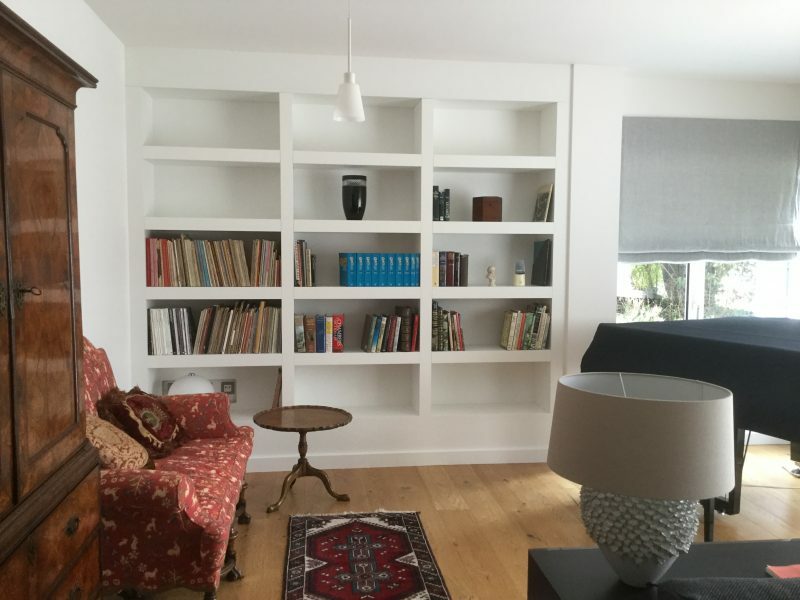 If you’d like to maximise your storage space or make a feature of a space in your home, contact us and we can design and craft a bespoke solution for you. Contact us to discuss your requirements.